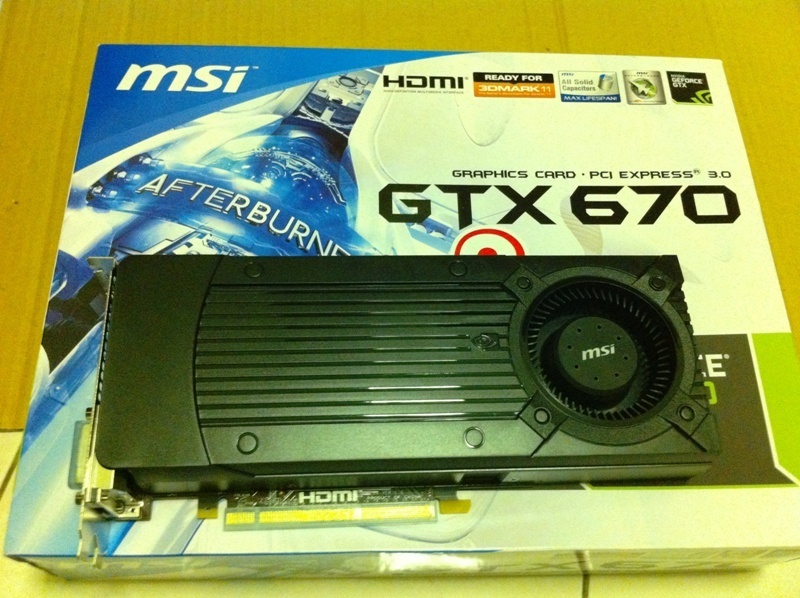 MSI’s GeForce GTX 670 OC edition which was spotted yesterday has now been unboxed and pictured. The GTX 670 OC Edition from MSI would feature factory overclocked frequencies while retaining the reference GTX 670 design. 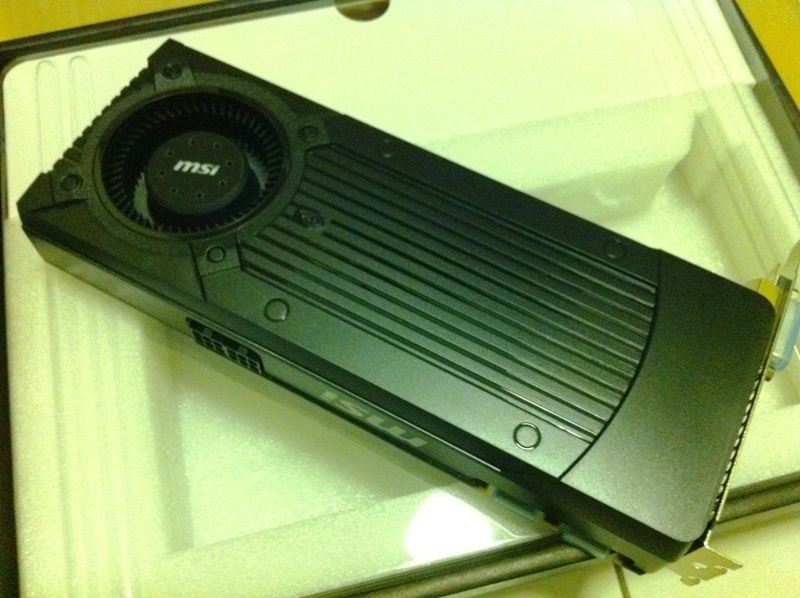 The cooler shroud is a bit smaller than the GTX 680 equipped with a large blower fan. 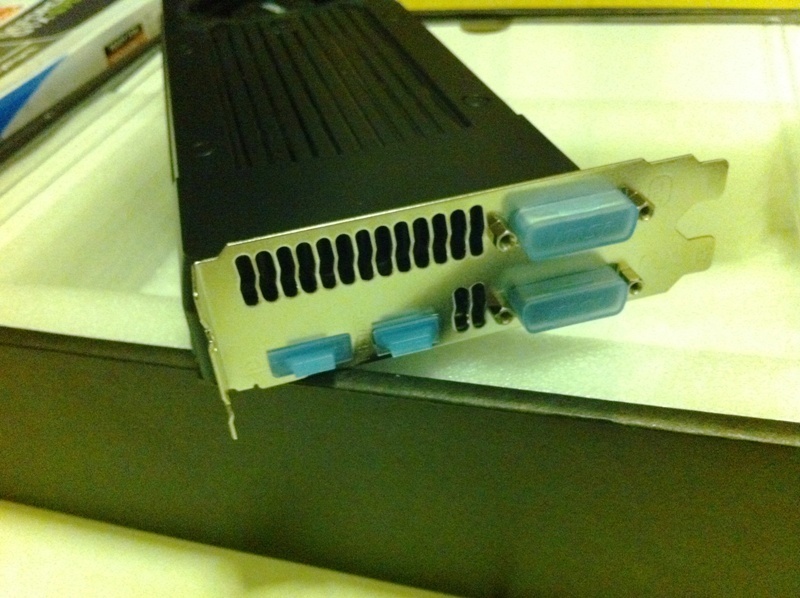 It is powered by two 6 Pin connectors, display outputs include 2 DVI, Single HDMI and Display Port. Now the most strange thing about the card is its PCB length, As you can note the PCB ends at the power connectors which confirms our previous report about the 670’s PCB being much shorter than the 680. 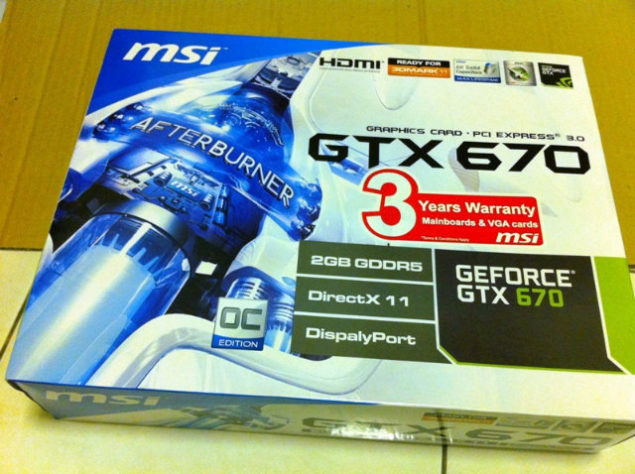 But this doesn’t rids away most of goodies, The Dual SLI gold fingers are still available and hopefully the power phases are re-aligned accordingly so that the card would feature the same overclocking potential of the GTX 680. Other specs include 1344 Cores, 112 TMUs, 32 ROPs and a 2GB 256-bit wide memory interface. The card hits store shelves on 7th of this month for a price of $399.